Let us help you save a tremendous amount of money on your oilfield water management operations! We are strong supporters of clean fracking! 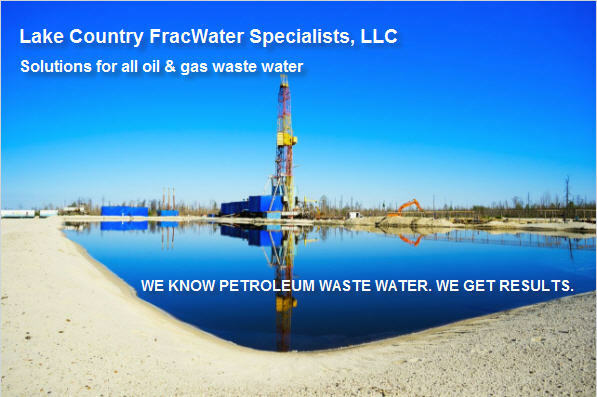 Lake Country FracWater Specialists, LLC provides oilfield water management technology which is modular, transportable and customizable for removing the organic and inorganic constituents you desire from your frac flowback, produced, other drilling, well site waters and waste waters at a very low cost. This is a unique, proprietary, innovative, high quality, patent pending technology we believe is the best technology available in the market today. 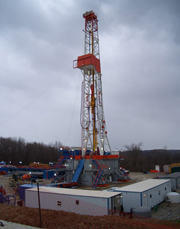 Significant quantities of water used for hydraulic fracturing may be recycled using our proprietary, patent pending processes reducing the demand on local & regional watersheds and aquifers. Your employment of this unique, proprietary, innovative, high quality, patent pending technology, which is extremely affordable and conservation minded, would make a huge statement of your leadership in wanting to be responsible in using, recycling and preserving our most valuable natural resource, WATER. Copyright © Lake Country FracWater LLC 2010. All rights reserved.